Johnny Dundee, who real name was Giuseppe Carrora, was a clever boxer with little power. He was highly skilled at fighting off the ropes and was always in outstanding condition. He fought 59 times in his first two years in boxing. Dundee began fighting professionally in 1910 and didn't stop until 1932. During that time he had 330 bouts and won featherweight and junior lightweight titles. Only two fighters in history, Len Wickwar (463) and Jack Britton (350) had more fights than Dundee. Perhaps even more remarkable was that Dundee was knocked out just twice in his entire career. Dundee met the best fighters of his era. He fought great lightweight champion Benny Leonard nine times and entered the ring against top contender Lew Tendler three times. He also fought lightweight champions Freddie Welsh and Willie Ritchie. Dundee earned a world title fight in his 87th fight and fought to a drew with featherweight champion Johnny Kilbane in 1913. The slick boxer waited until his 265th fight for another shot at the title. His patience paid off. He won the junior lightweight championship in 1921 when his opponent, George "KO" Chaney, was disqualified in the fifth round. Dundee earned the distinction of being the first universally recognized junior lightweight champion in history. Then in 1922 he knocked out Danny Frush to earn recognition in New York State as the featherweight champion of the world. Dundee successfully defended his junior lightweight crown three times before losing it to Jack Bernstein in 1923. 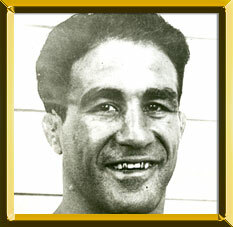 Two fights later he unified the featherweight title by defeating Eugene Criqui and finished 1923 by regaining the junior lightweight title in a rematch with Bernstein. Dundee lost the junior lightweight title to Steve Sullivan in June of 1924 and then relinquished the featherweight crown two months later. The last significant fight of his career was in 1927 when he challenged featherweight champion Tony Canzoneri but lost a 15-round decision. Dundee finally retired in 1932 after posting a six-round decision over Mickey Greb.